Wayne Homes, an Ohio-based custom home builder that specializes in affordable on-your-lot homes, is pleased to announce the promotion of Jennifer Neese to Sales Manager at the company’s Sandusky Model Center in Milan, Ohio. Custom home builder Wayne Homes has announced the promotion of Jennifer Neese to Sales Manager at the Sandusky Model Center. 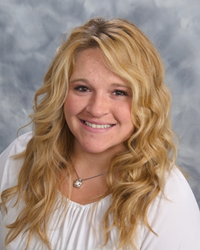 Neese started her career with Wayne Homes in 2012 as a New Home Consultant at the Sandusky Model Center. After graduating from Danbury High School, Jennifer went on to attended Bowling Green State University. Jennifer finished her academic career at Bowling Green State University’s Firelands campus where she received an Associates of Science degree. She and her husband Jeremy currently reside in Huron, OH with their two sons, Joey, 13, Jackson, 4 and golden retriever, Kona. “Jen is unstoppable! Since her first day with the company she has strived for excellence and to give her customers exactly what they are looking for in a home, plus more! She will be a great leader and role model for her Sandusky sales team,” stated Regional Vice President of Sales, Jen Collinsworth.